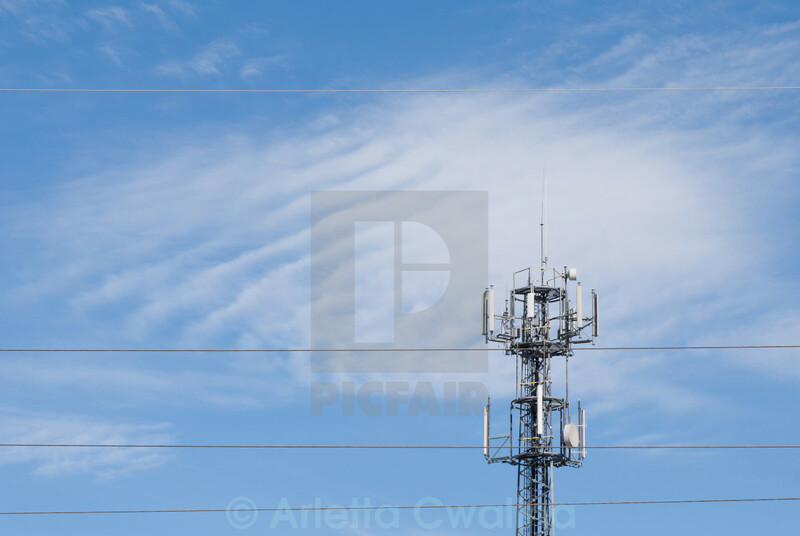 Electronic wireless telecommunication device radio transmitter with antenna on blue sky in Poland. Visible three wires of electric power grid pylon, altocumulus clouds afar, horizontal orientation. Polish nadajnik radiowy.